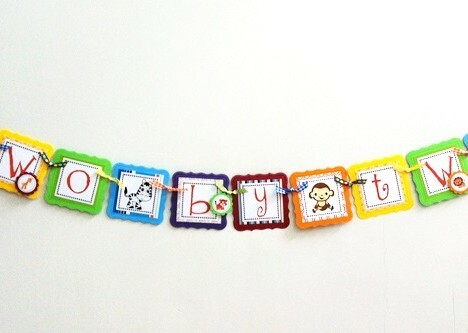 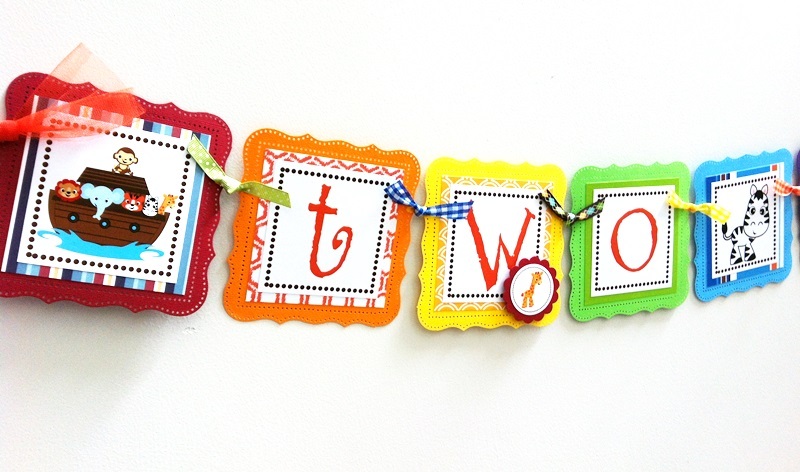 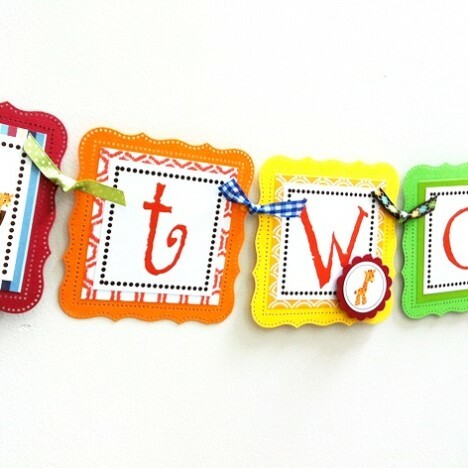 This is one cute Two by Two Noah’s Ark Party Banner perfect for a Twin Baby Shower or Birthday Party. 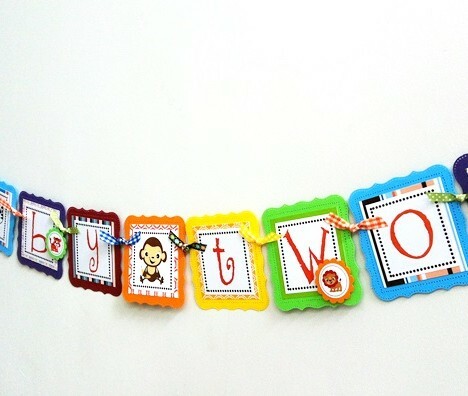 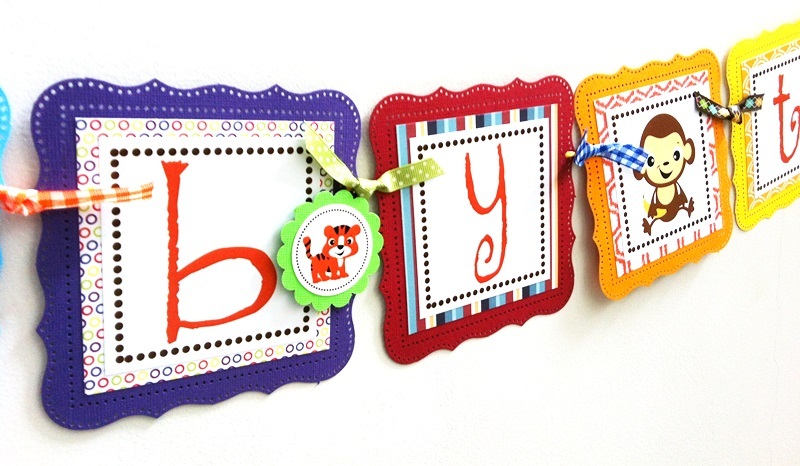 This banner is also can be hung at a nursery room as a decoration. 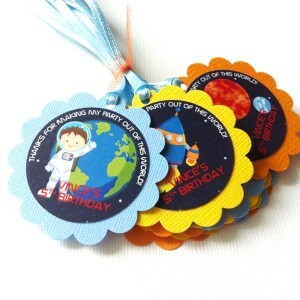 The colors are colorful and cheerful, just like a rainbow, perfect colors for a celebration. 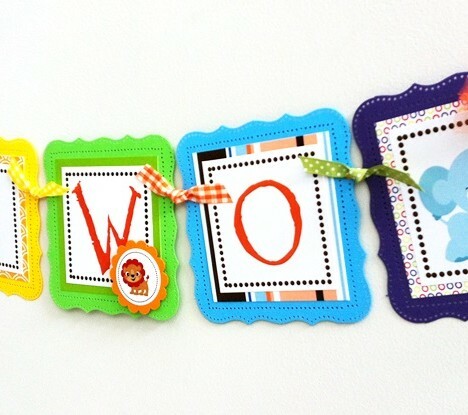 The colors used here are red, orange, yellow, green, blue and purple. 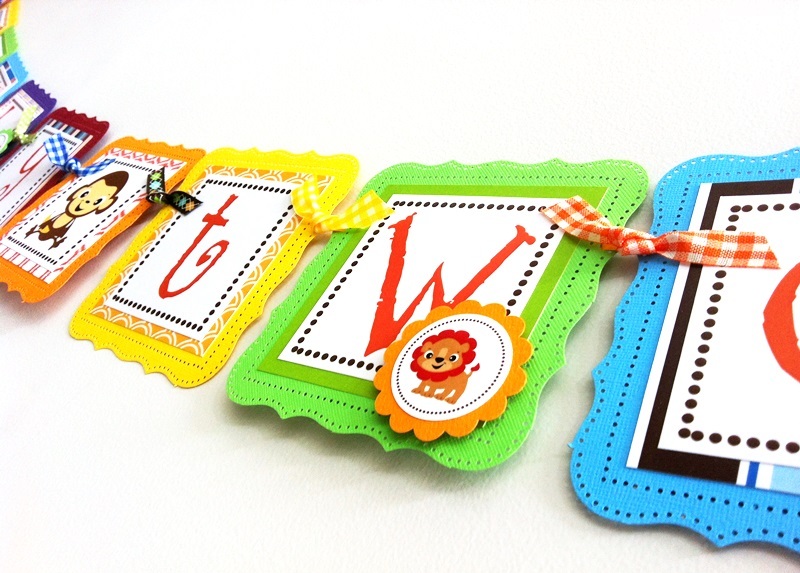 This banner has 4 (four) pennants of images: the Ark with animals in it, Monkey, Zebra and Elephant. 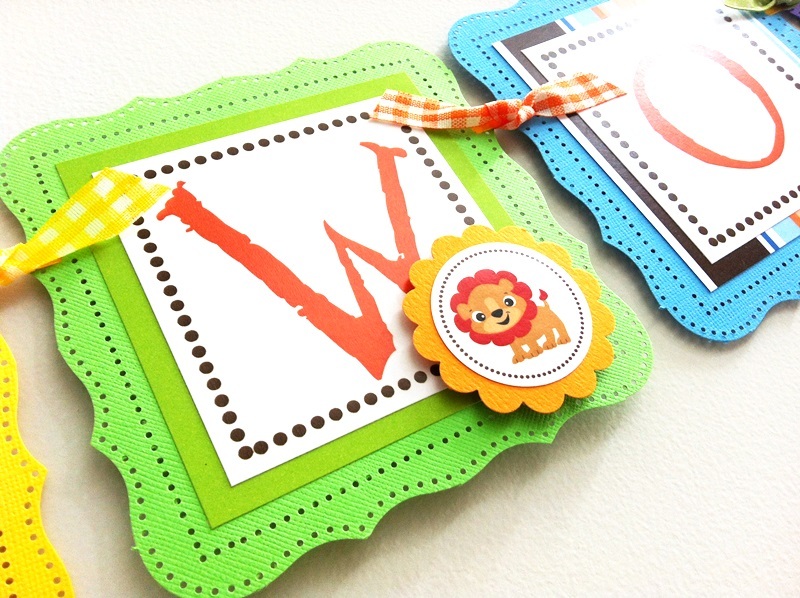 A few scallop circles of Giraffe, Lion, and Tiger are placed throughout the banner, giving it an additional final detail touch to it. 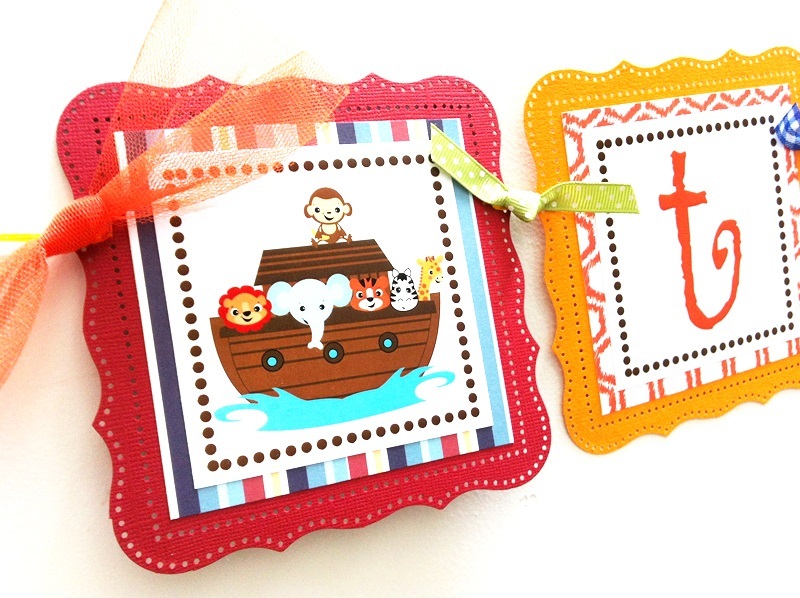 The phrase is Two By Two, just like how the animals were chosen in a pair and onboard unto the Ark. 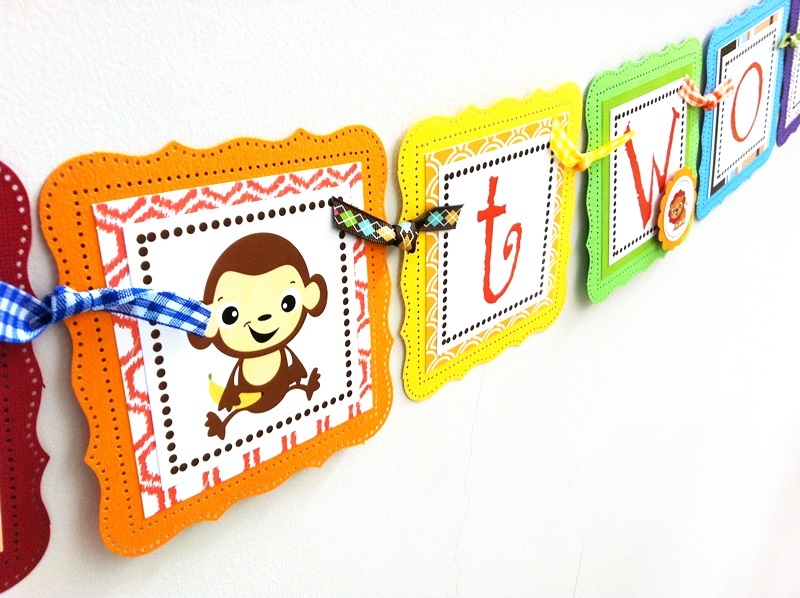 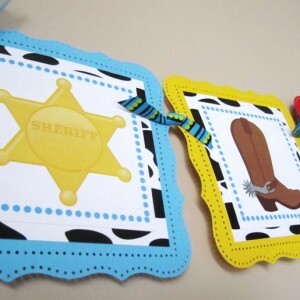 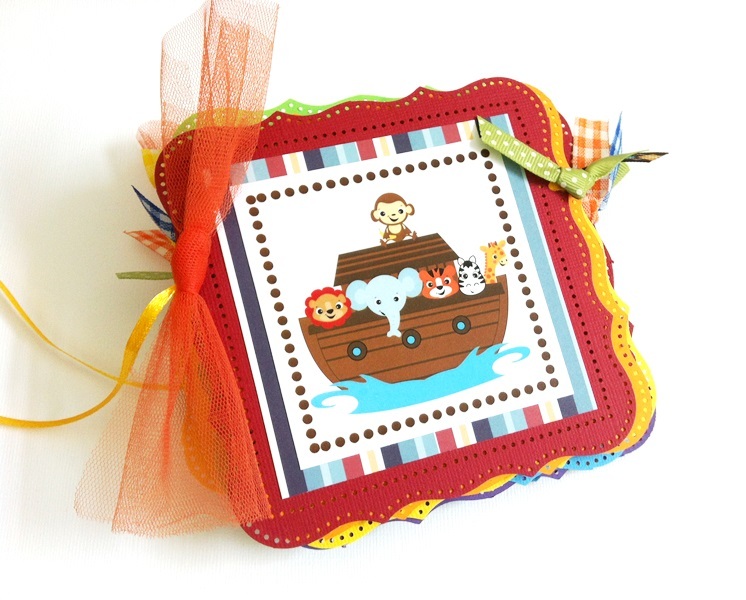 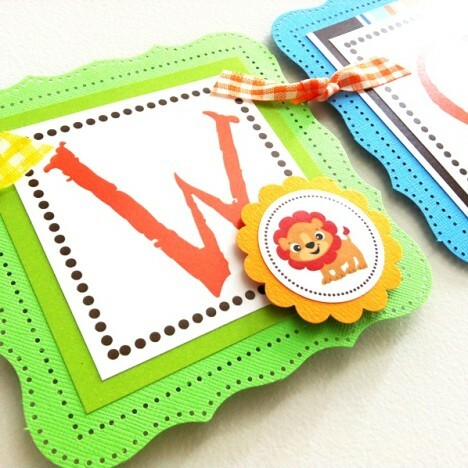 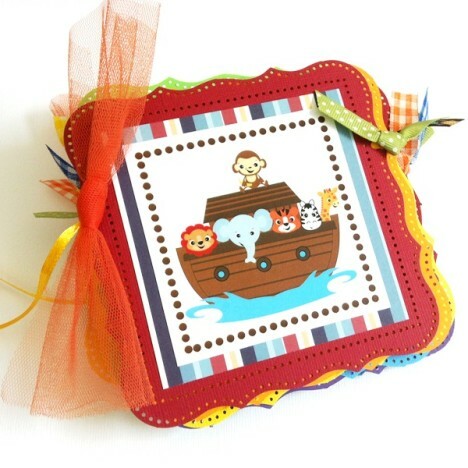 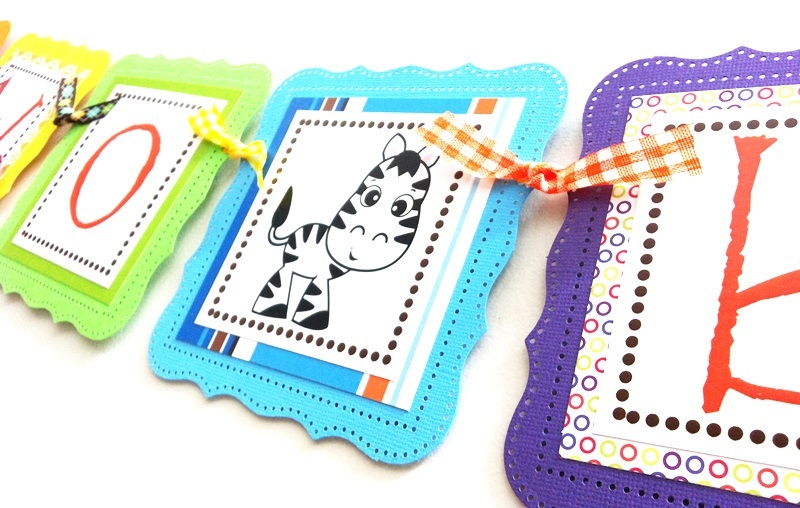 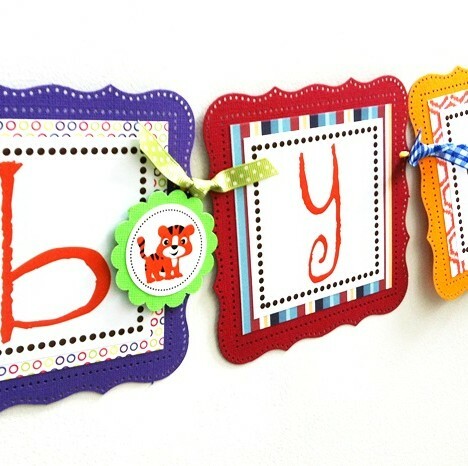 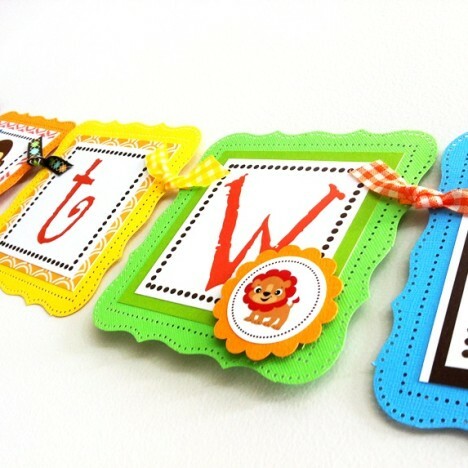 This Two By Two Noah’s Ark Banner is made with beautiful pattern paper an sturdy textured cardstocks. 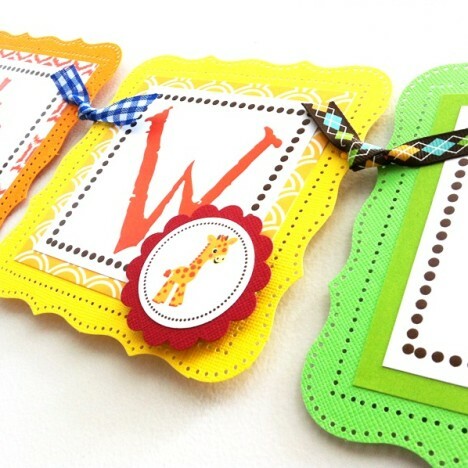 The details of the border of each pennant is phenomenal, you will not find it anywhere else. 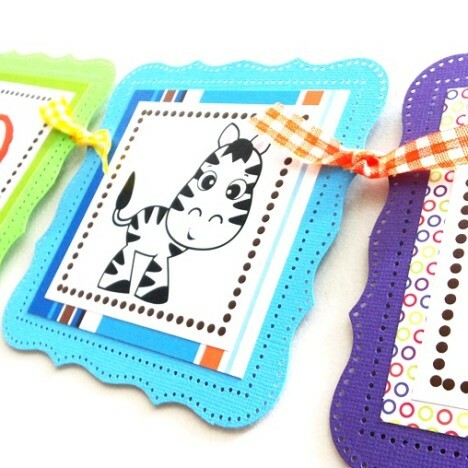 Tulles and ribbons are used to make it even more fun. 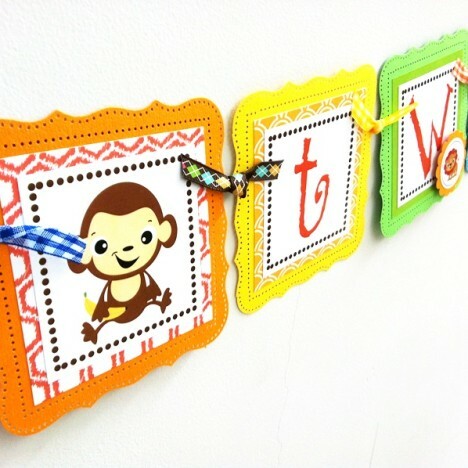 Each square is 5″. 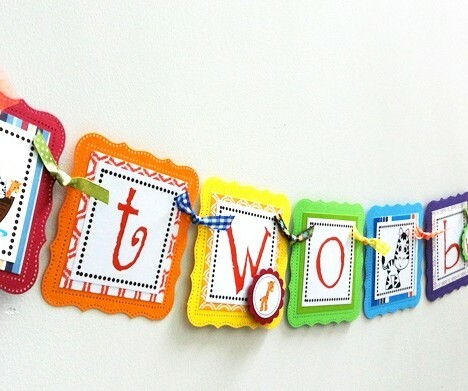 I give extra length of ribbon on each side of the banner. 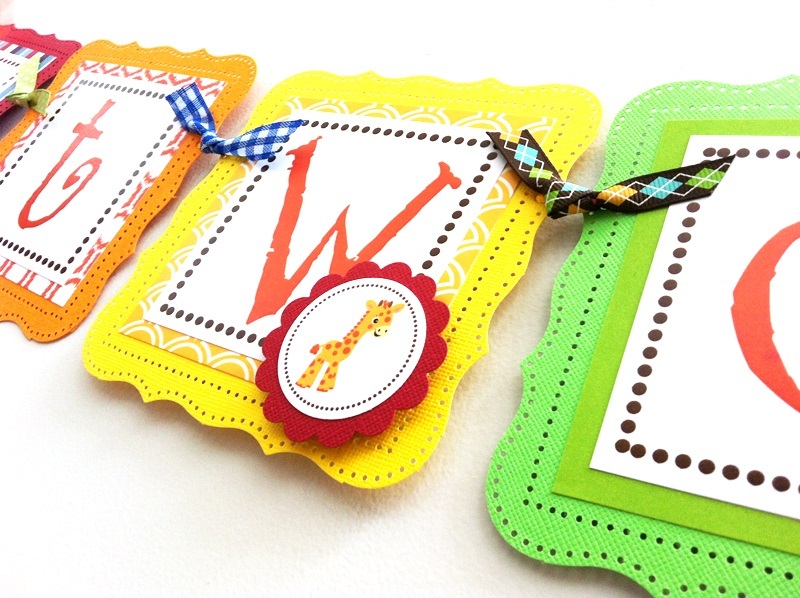 There is a total of 12 (twelve) pennants altogether. 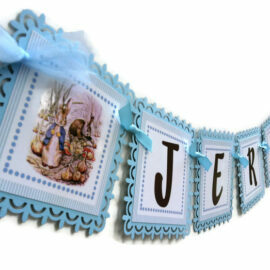 The length of the banner is at least 60 (sixty) inches or 152.40 cm. 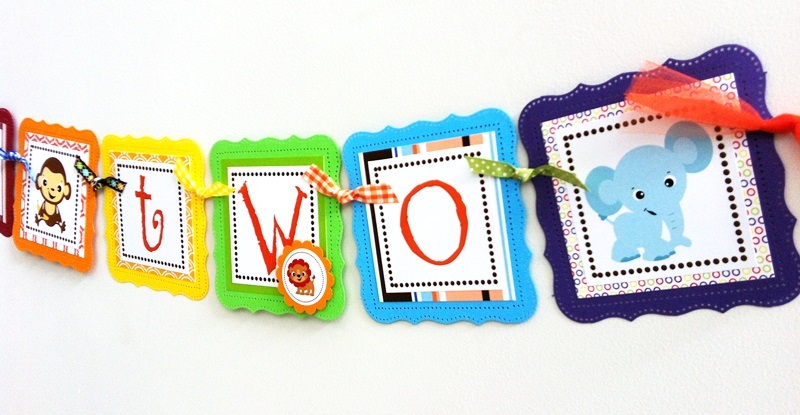 Please spread out a little bit between pennants for better placement. 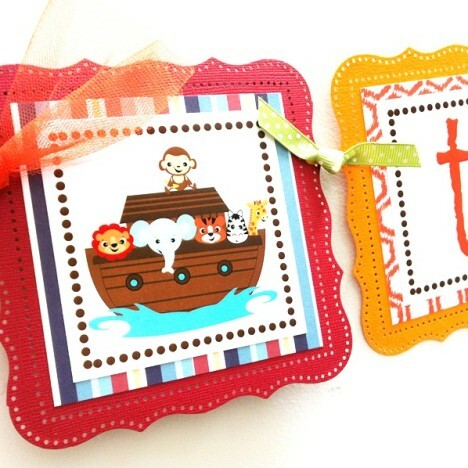 Are you looking for party decorations that compliment this Two By Two Noah’s Ark Banner ?